Huge tautog: Scott Kiefer of Exeter, RI with the sixteen (16) pound tautog (two above photos) he caught off Hope Island in Narragansett Bay. 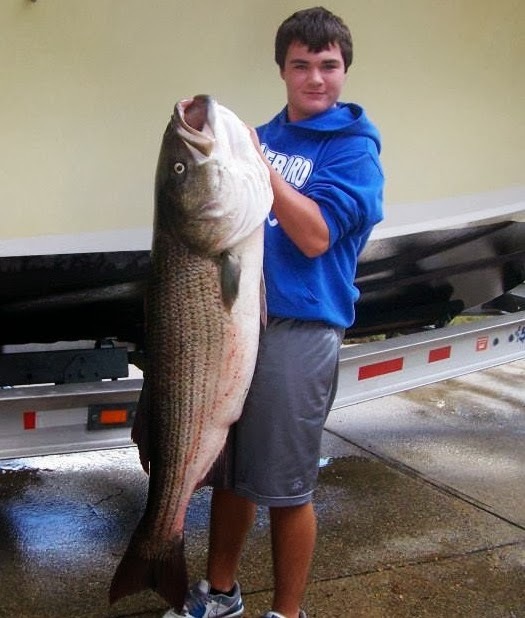 Trophy bass: Robby Araujo of Attleboro, MA with a trophy sized 51 pound striped bass he caught this week drifting eels on the southwest side of Block Island with Capt. Tracy Terrien and his father. Squeteague still biting. 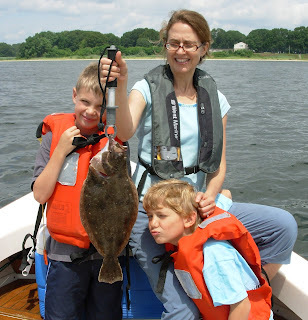 Carole Prisco (above) of Warwick (with daughter Amanda and husband Charlie) caught four squeteague; the largest was 26” (below) using large pieces of squid between Hope and Gould Islands. 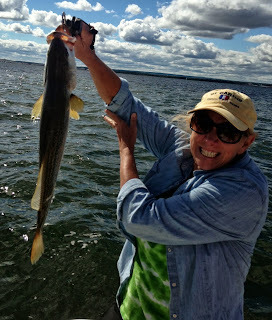 First striped bass. 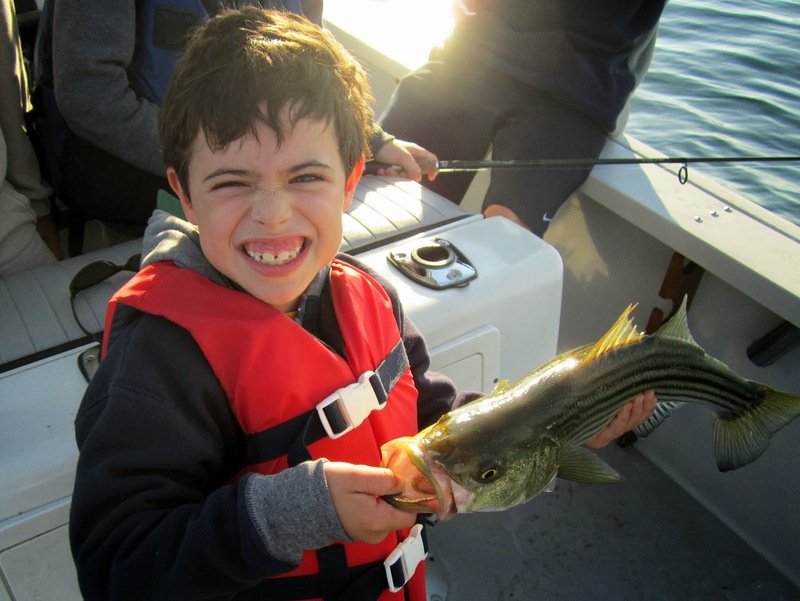 Benjamin Amadio of Coventry, RI catches his first striped bass while fishing with Joe Pagano of Stuff-it Charters. It was a chilly fall morning requiring jackets. The sun rose Sunday and things started to warm up at Hope Island off the northern tip of Jamestown in the West Passage of Narragansett Bay. 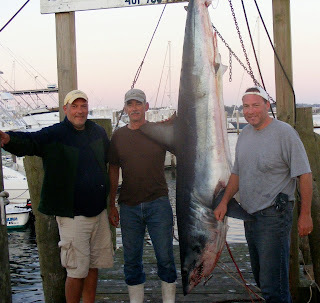 Anglers Scott Kiefer of Exeter, RI and his fishing partner Angelo Manni anchored and sent their chum pot down. “We started to land fish right away. The tide was ripping. Conditions were right.” said Scott Kiefer. Then Scott got a huge hit on the green crab he was using for bait. “This fish didn’t go down heading for structure like most tautog. 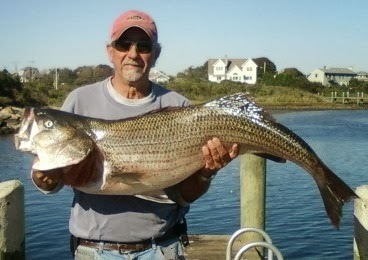 It ran, very much like a striped bass. It went behind the boat. Under the boat and when I finally brought it up Angelo looked it in the eye and it ran again.” said Kiefer. 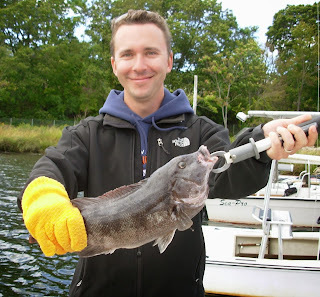 It took Scott with Angelo’s help on the net about six minutes to land the tautog. 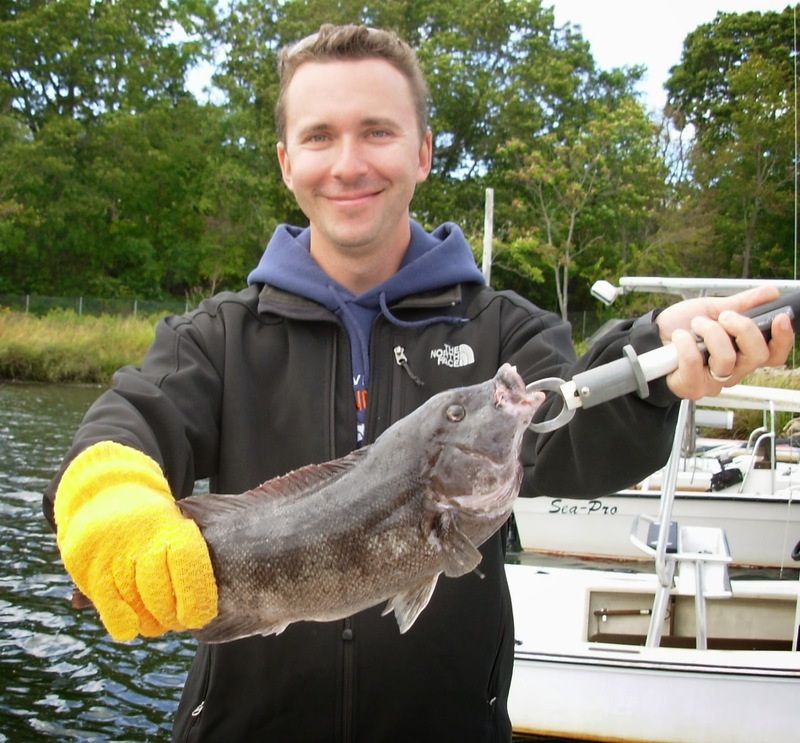 Where to fish for tautog. From shore, look for rocky coastline like Beavertail Point on Jamestown, locations off Newport, the rocky shore line off Point Judith and off jetties along the southern coastal shore. Docks, piers, bridges are good structure too. From a boat, I have had good luck at Conimicut Light, Plum Point light house next to the Jamestown Bridge, the jetty at Coddington Cove in Portsmouth, off Hope Island, around Brenton Reef and Seal Ledge in Newport, Whale Rock, Ohio Ledge in the East Passage, General Rock in North Kingstown and any other places there is structure, debris, rock clusters, wrecks, etc. Another key factor is water movement, so a couple of hours before or after high or low tide is good. Tautog. 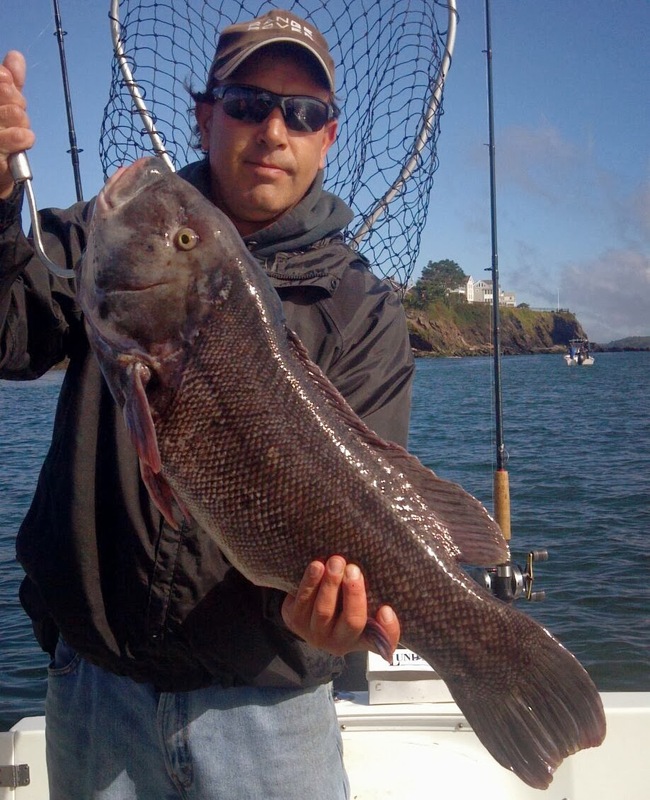 The big news this week is the sixteen pound tautog caught by angler Scott Kiefer of Exeter, RI. Ken Landry of Ray’s Bait & Tackle, Warwick, weighed the fish in and said, “They fished Hope Island for about an hour and half and the action was great with big fish and then things slowed down with a lot of shorts being caught.” John Littlefield of Archie’s Bait said, “The tautog bite is good at Conimicut Light, Rocky Point, and the bridges in Barrington and Warren but with a ratio of about one keeper (16” or larger) to eight smaller undersized fish. 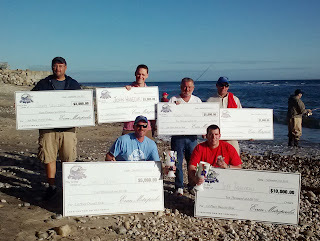 Saturday I fished Seal Ledge off Newport and managed three keepers with six shorts and a lot of small black sea bass. Other boats were fishing south of Brenton Reef and others off Castle Hill Light. The DEM Fish & Wildlife Division’s Aquatic Resource Education program will hold three fly fishing workshops. The programs are produced in conjunction with instructors from Trout Unlimited, Rhody Fly-Tyers, United Fly-Tyers, and with many more organizations and volunteers. Families with children over 10 years of age are encouraged to attend. 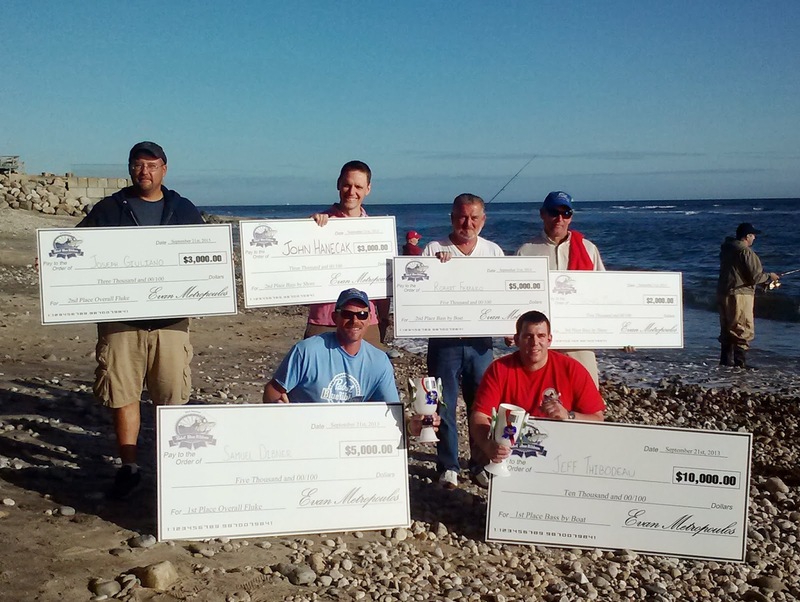 Programs range for beginner to advanced angler. “Introduction to Saltwater Fly-Fishing”, Saturday, October 5 from 9:00 a.m. to 3:00 p.m. at the US Fish and Wildlife Service's Kettle Pond Visitors Center in Charlestown. Fly-fishing instructors will teach participants fly-tying, casting techniques, and knot-tying. All materials and equipment are included with the $35 per-person registration fee. Participants should pack a lunch and bring a pair of waders. 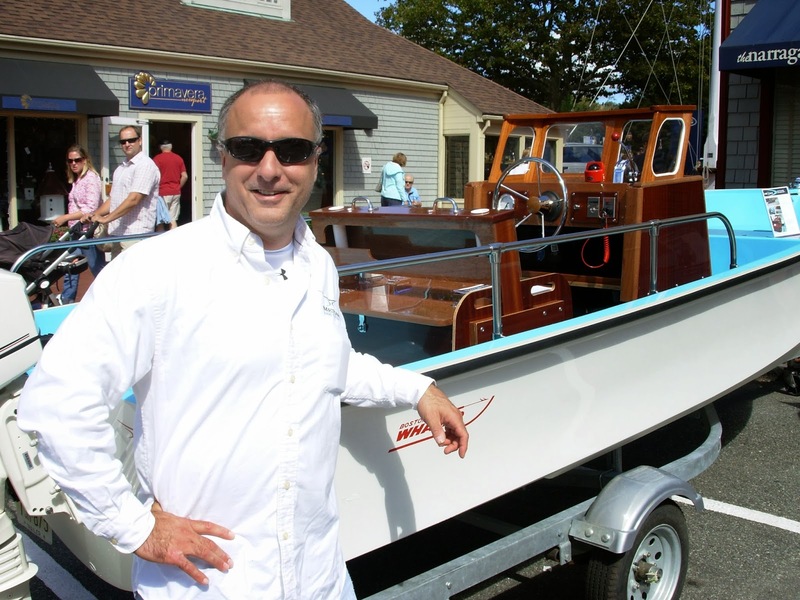 “Fly-Fishing Express,” a fly-fishing safari around Aquidneck Island on the Old Colony Train Saturday, October 19 from 9:00 a.m. to 3:00 p.m. The train will stop at several remote public access fishing areas around the island. Fly-fishing instructors will offer advice on the best flies and fly- fishing tactics. 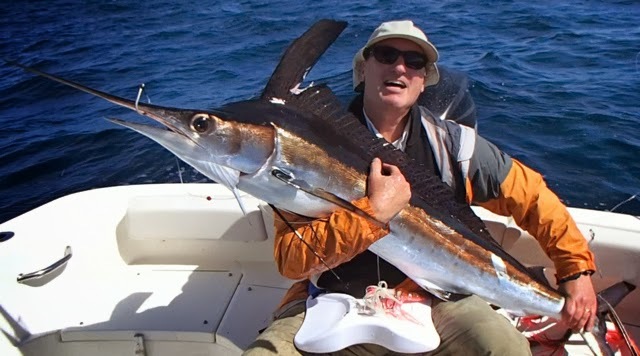 The program is designed for advanced beginner, intermediate and advanced fly-fishing anglers, and is perfect for those who have already participated in the “Introduction to Saltwater Fly-Fishing” workshop and would like to hone their fly-fishing skills while fishing. Pack a lunch and your chest waders. All other equipment, including flies, is provided with the $35 per-person registration fee. “Fall Fly-Tying 2013”, held on six Thursdays beginning November 7 to December 19, 7:00 p.m. to 9:00 p.m. at the North Kingstown Community Center. Professional fly-tyers will teach beginning and intermediate fly-tying techniques for both freshwater and saltwater fishing. All material and equipment is included. Cost of the program is $5 for each class or $25 for all six sessions. Pre-registration is recommended, although walk-ins are accepted. 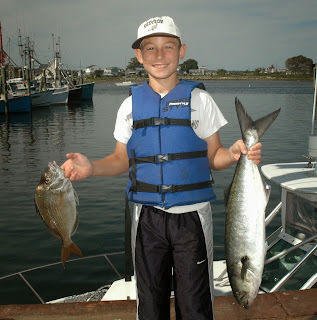 For additional information and for registration materials, contact Kimberly Sullivan in DEM’s Aquatic Resource Education program at 539-0037 or via e-mail at kimberly.sullivan@dem.ri.gov. 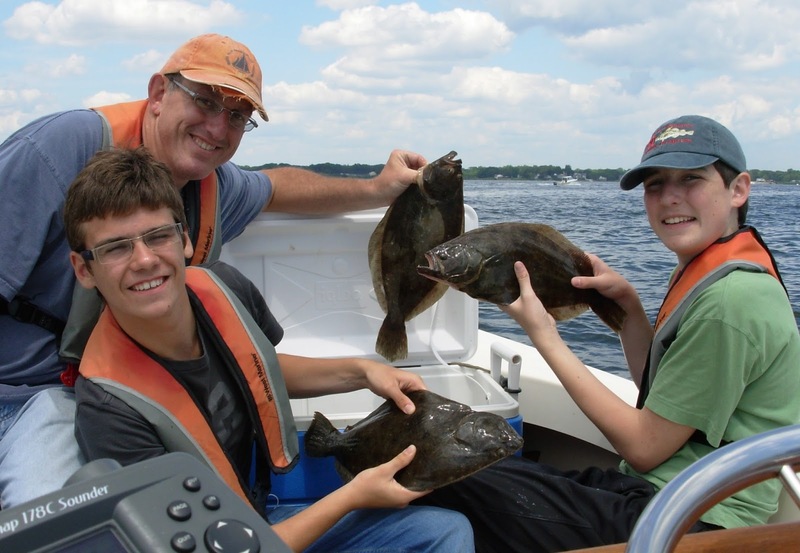 NOAA’s National Marine Fisheries Service, Northeast Fisheries Science Center, released its 57th Stock Assessment Review Committee report on summer flounder (Paralichthys dentata) and striped bass (Morone saxatilis). The good news is that both stocks were found to be in good condition. Neither is experiencing overfishing or is overfished. Summaries of the two stock assessments findings can be found at nefsc.noaa.gov/publications/crd/crd1314/. An important aspect of any assessment is the determination of current stock status. The status of the stock relates to both the rate of removal of fish from the population – the exploitation rate – and the current stock size. The exploitation rate is the proportion of the stock alive at the beginning of the year that is caught during the year. When that proportion exceeds the amount specified in an overfishing definition, overfishing is occurring. So a stock can be either experiencing overfishing or overfished or both. 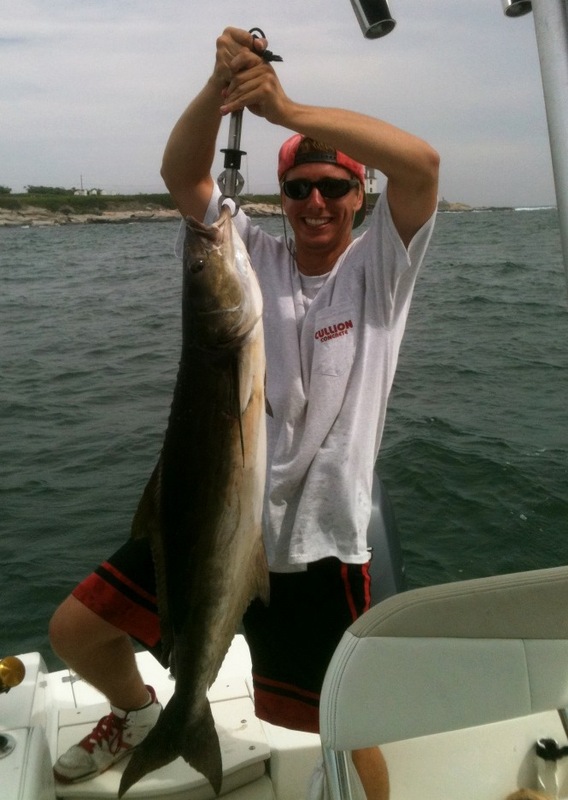 Warm water fish: Mason Sherman of North Kingstown with the 32 pound, 46” cobia he caught while fluke fishing just south of the Jamestown Bridge. 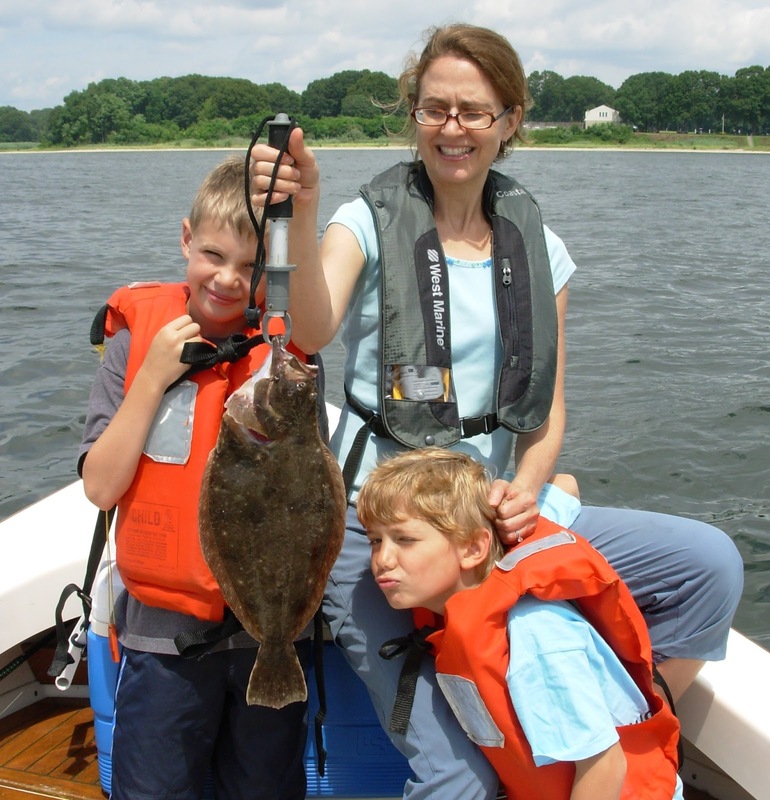 Several of the warm water fish have been caught in Narragansett Bay and along coastal shores this year. Priscilla Bogdan of Lincoln, RI landed this cobia off Point Judith, Narragansett last month. One of several cobia caught this year off coastal shores and in the Bay. This quote is not from liberal environmentalist but rather from four Republican E.P.A. administrators that served under Richard Nixon, Ronald Reagan, George Bush and George W. Bush. It came from an opinion letter they published in the August 1, 2013 issue of the New York Times. The dialogue on global warming has changed from a bipartisan issue on whether or not it is occurring to what should be done about it now as a nation, and I might add as fishermen. Local evidence of climate change includes Narragansett Bay and near coastal water temperatures heating up for nearly forty years. How warm you ask? Well it used to be very cold. The crew of the Brenton Reef lightship measured water temperature at the mouth of Narragansett Bay every day from July 1878 through January 1942. In the coldest winter recorded (1917-18) the water temperature from December through February was 33.2 F. The average for the whole period of their record (64 years) is 39.1 F. This temperature is far from the warmer water temperatures recorded in February, 2012… Conimicut Point, 45 F; Newport, 42 F; and Block Island, 46 F.
OK, so we have a warming Bay (URI Bay temperature studies confirm this too, the Bay has warmed 2 to 3 degrees depending on time of year in past 45 years), and evidence of a rising ocean in New England (and Rhode Island) with beach erosion occurring all along our coastal shore. Now what about the fish? What seems to be happening is that the cold water fish (like cod) are moving out of the area, away from coastal shores and out into deeper waters. Last year my brother-in-law and I traveled to Cox’s Ledge (over 18 miles offshore) to catch them. 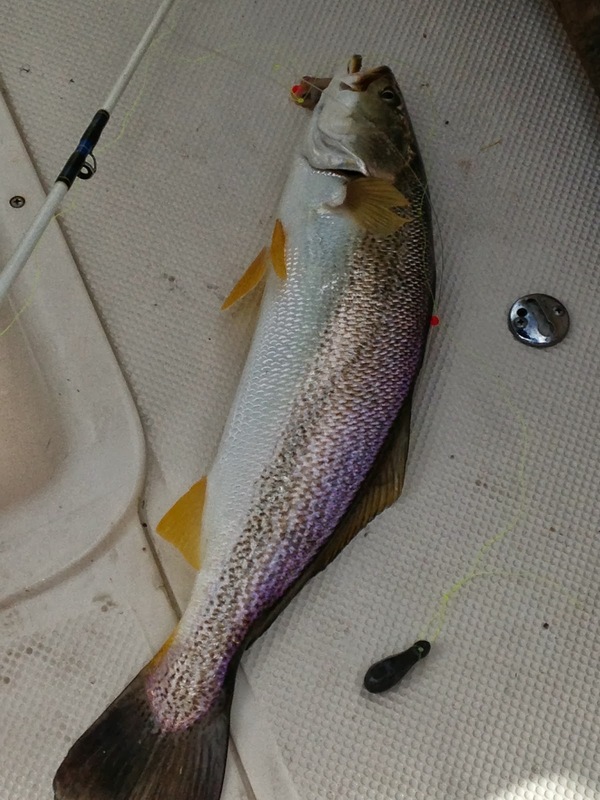 And, for the past few years we have had warm water fish (and manuals) being sited or caught in the area. Dolphin sightings in Narragansett Bay in the fall for the past couple of years, blue fin tuna at the mouth of the Bay in January and cobia being caught in the Bay this summer are some examples. Last month Greg Vespe of Tiverton landed a 17 pound cobia fishing north of the Newport Bridge when fishing with Atlantic Menhaden chunks for striped bass. 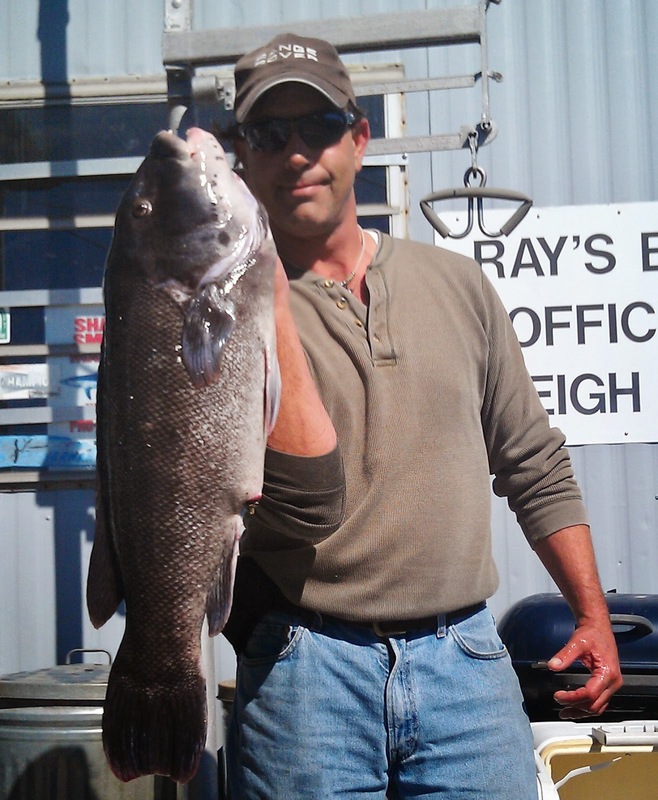 Bait shop owners have reported an additional three to four cobia being caught in the Bay this year. Cobia (a warm water fish) migrate along the Atlantic coast on a seasonal basis. In spring, they move from southern Florida, to the Carolinas as water temperatures rise. That’s right, I said the Carolinas… not Rhode Island. As fishermen, we know the water is warming and we need to do everything we can to curb climate change. 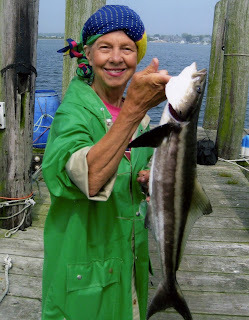 Don’t get me wrong, nothing wrong with catching warm water fish here, I would love to catch a cobia, but it would be nice if some fish were left for my great grand children. And I don’t mean fried fish. 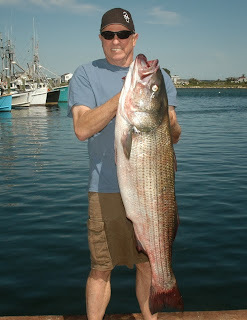 Striped bass fishing at Block Island is still good with smaller fish (28”-32” keeper size) being taken at the North Rip and larger fish on the South West Ledge. Umbrella rigs still seem to be the bait of choice during the day. 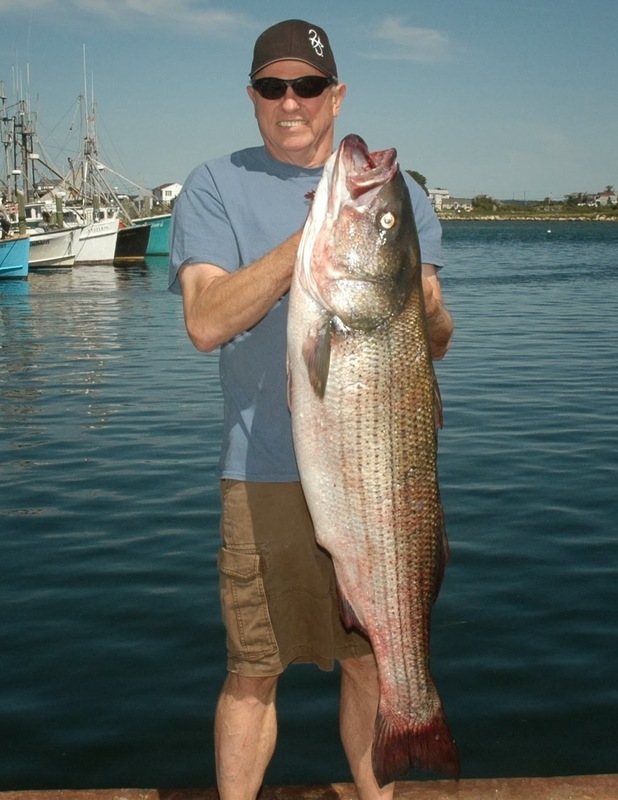 Last week striped bass were between Gould Island and the Newport Bridge and all along southern coastal shores, this week that action slowed down a bit. 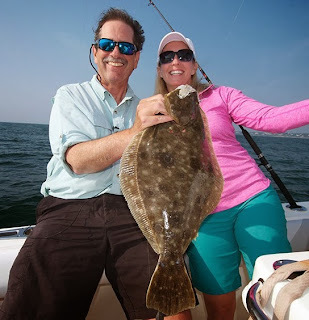 Fluke (summer flounder) fishing remained good but spotty this week with fish being taken (for the first time in years) in the upper Bay. 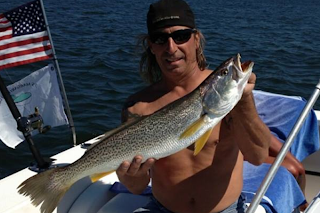 Dave Henault of Ocean State Tackle, Providence, said, “Customers are catching fluke at Fields Point and in other places in the upper Bay… in eight to fourteen feet of water if you can believe that. The fluke are feeding on skipjacks (baby blue fish) in coves and along shoreline areas.” John Littlefield of Archie’s Bait & Tackle said, “Customers are catching fluke in places where they have not been for years. 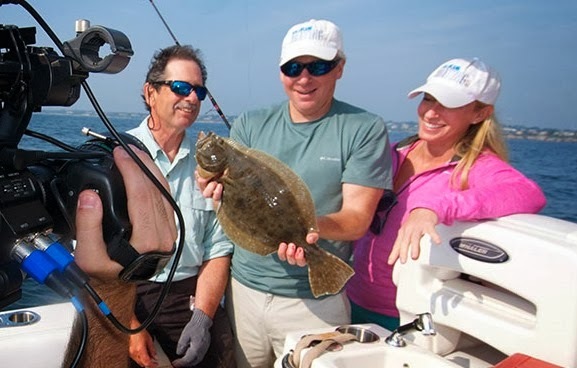 Last week anglers caught keeper sized fluke at Sabin Point.” The fluke bite off Newport and Jamestown remained good but spotty with fish being taken in good numbers depending on the day under the Newport and Jamestown bridges, at Austin Hollow, Dutch Island, Hull and Mackerel Coves off Jamestown. Some days anglers have found fluke in numbers off Newport beyond Seal Ledge and the Brenton Reef areas. John Wunner of John’s Bait & Tackle, North Kingstown said, “Customers have been catching fluke everywhere including the entrance of Allen’s Harbor, in Wickford Harbor.” The fluke bite in Greenwich Bay continued to be slow as the western portion of the Bay is recovering from hypoxia (oxygen deprivation) at the lower levels of the water column. Blue crabs have been plentiful in coves and estuaries. Skipjacks (or baby blue fish) have invaded coves, ponds and inlets. Anglers have been catching them in volume.